Bangladeshi immigrant Akayed Ullah indicted on federal terrorism charges for last month's botched bombing in New York City subway. A Bangladeshi immigrant was indicted on Wednesday on federal terrorism charges for last month's botched bombing in a New York City subway station, NBC News reported. 27-year-old Akayed Ullah, a resident of Brooklyn who has worked as a taxi driver and an electrician, would face life in prison if convicted of the attack in a passageway near the Port Authority bus terminal. "In selecting this time and place, Ullah’s alleged purpose in the Port Authority bombing was painfully clear: to inflict as much damage as possible, and to strike fear into the hearts of New Yorkers in the name of ISIS," U.S. Attorney Geoffrey Berman said in announcing the indictment. A criminal complaint said that before the blast, Ullah posted two messages to his Facebook page, one that referenced the Islamic State (ISIS) and another that taunted President Donald Trump. "Trump you failed to protect your nation," the post said, according to court papers. 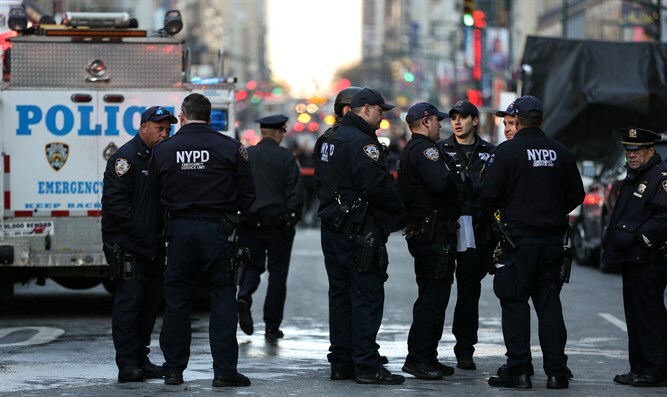 Ullah allegedly detonated a crude pipe bomb packed with screws in a subway passageway near Port Authority Bus Terminal during morning rush on December 11. He was charged with supporting an act of terrorism and making terrorist threats, as well as with criminal possession of a weapon. The crude explosive device, allegedly constructed with instructions found on the internet, was fashioned from a pipe, a 9-volt battery and Christmas lights, according to NBC News. Ullah was the only person seriously injured in the incident. He suffered burns and wounds and made his first court appearance via video link from his hospital room. He has since been transferred to the federal jail in Manhattan. One law enforcement source said Ullah told investigators he was upset with an unspecified “incursion into Gaza”, leading him to carry out the attack. Other reports said he told investigators that he set off the bomb in retaliation for U.S. airstrikes on ISIS targets in Syria and elsewhere, while others cited law enforcement officials as saying he did it in the name of ISIS to avenge the deaths of Muslims around the world. Ullah, who has a green card, came to the United States in 2011 with the help of two immigration programs. His uncle came first after winning a visa lottery and then sponsored him under a policy sometimes called chain migration. Trump cited Ullah's case as a reason to dismantle both immigration policies. He began to self-radicalize three years ago, authorities said, but law enforcement said he was not on their radar before the subway attack.